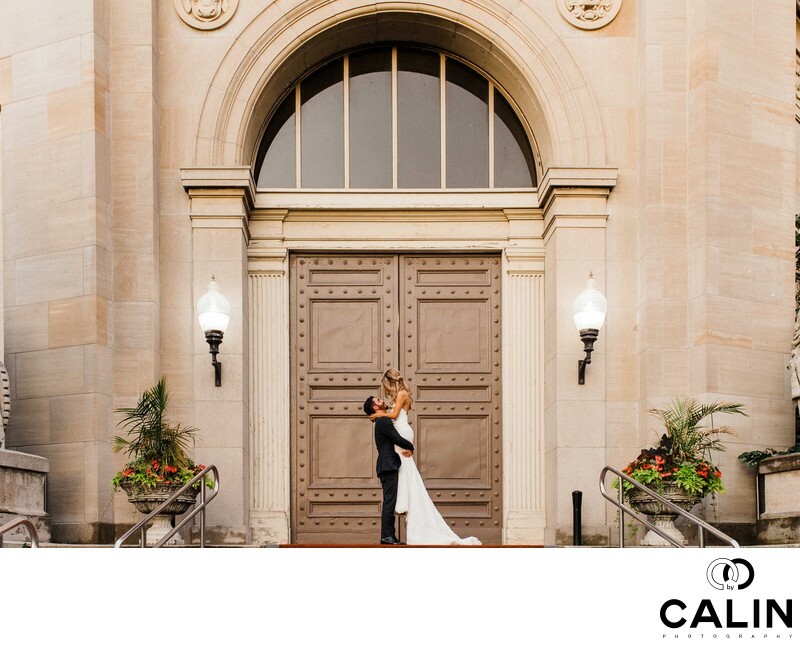 Your special day is approaching soon and you want to make sure your photos look perfect regardless of the weather and you want to book one of the indoor photography locations in the Greater Toronto Area. Before we start, please note that all the venues mentioned below require a photography permit that ranges between $100 to $600. For more details please contact each institution. Knox College is one of my top photography location and I always recommend it to my couples for their wedding and engagement pictures. 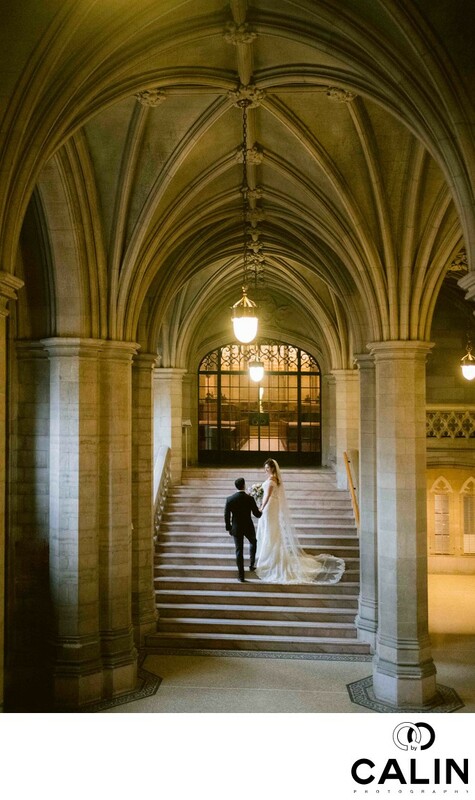 The venue features the splendid gothic revival architecture that allows one to capture stunning images. In the past the photography permits could be booked through the University of Toronto, but nowadays you need to contact the establishment directly. Despite its beauty, the space poses challenges. The place is often packed with tourists, which makes it hard to take photos. Second, on an overcast day the light is very dim, making an additional light source imperative for good photos. 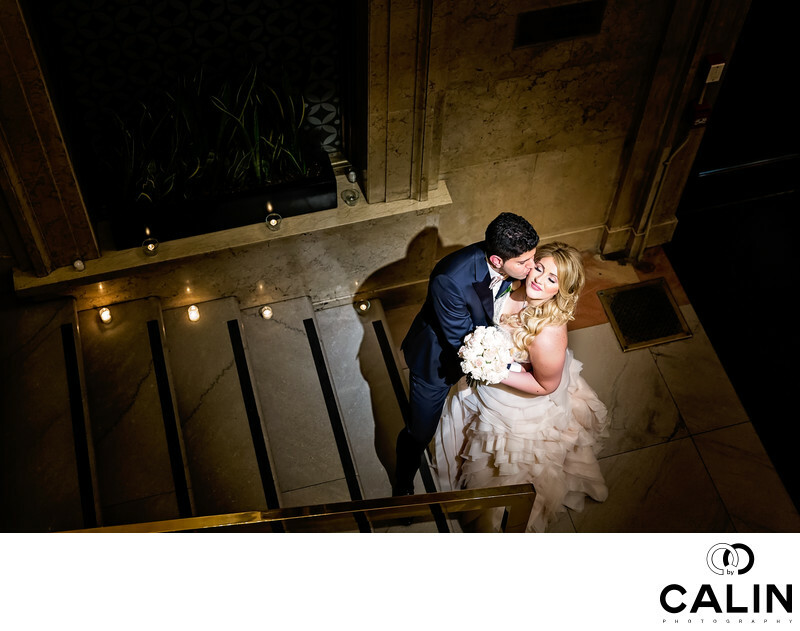 One King West (OKW) is a splendid location, ideal not only for bride and groom pics, but also for family photos. OKW has a few unique features that make this venue stand out. The massive Grand Banking Hall, the Vault and Chairman's Boardroom come first to mind. 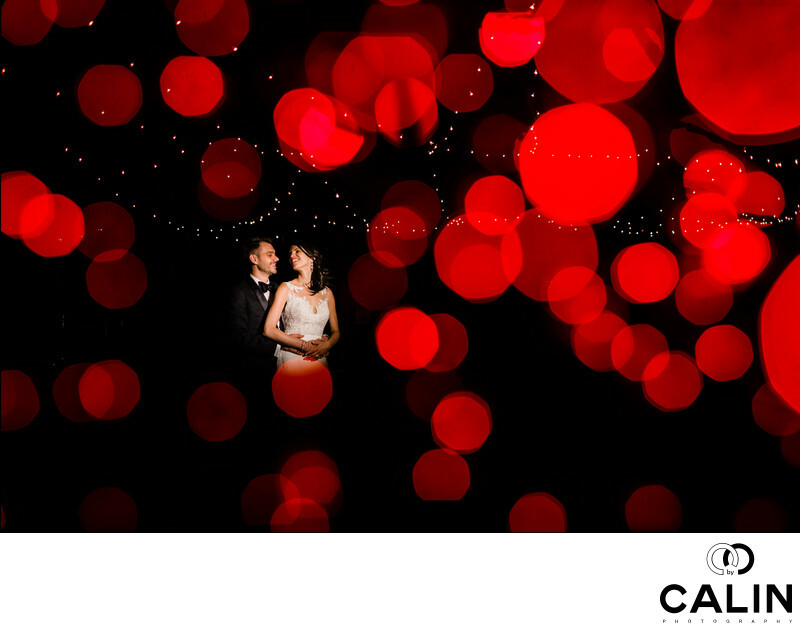 The image below was captured in the lobby during the couple's reception. 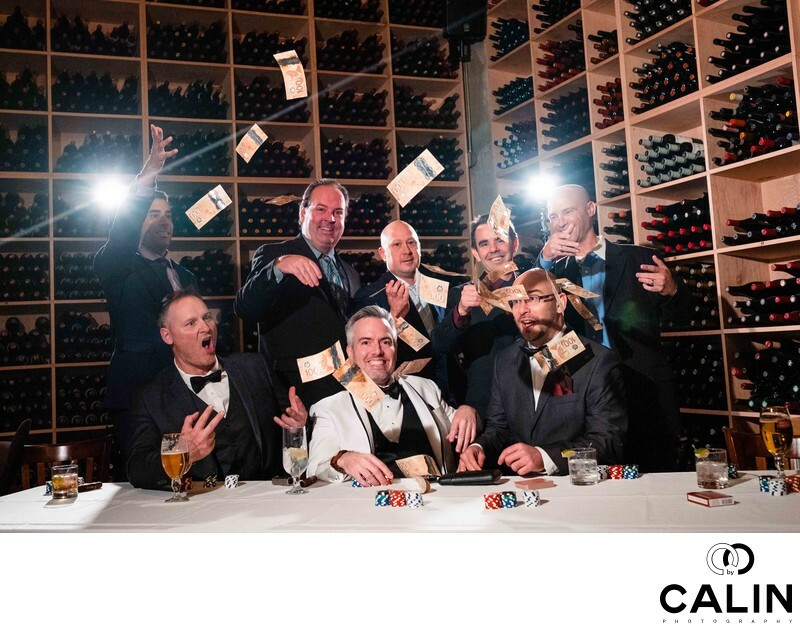 The most sought after location at OKW is The Vault. The Vault was the background used in movies such as Jumper, Anon and shows such as Stars and Scandals. Next, we have the Chairman's Boardroom, an excellent choice for family pictures. Finally, the Grand Banking Hall provided the perfect background for shows such as Designated Survivor so it might meet your high standards. 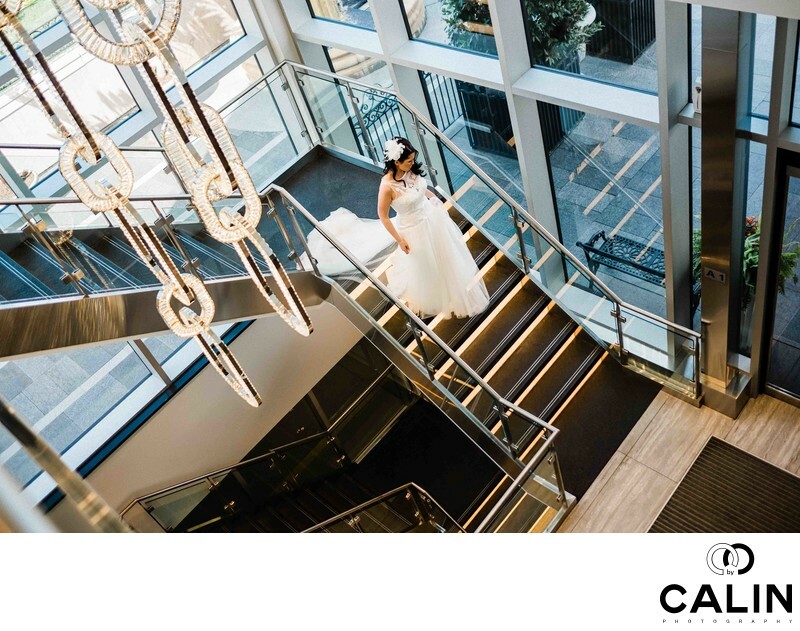 Here is a full wedding at One King West. Please note that you will need a photo permit to be able to shot at One King West. The photo below features the Grad Banking Hall, a breathtaking venue that continues to impress me. King Edward Hotel is one of my favourite locations and venues in the GTA for a few reasons. First, the hotel offers a classic elegance designed for royalty and it hosted many celebrities such as Queen Elizabeth, Prince Phillip, Princess Margaret, Prince William, King Juan Carlos of Spain, King Carl Gustaf of Sweden, Elizabeth Taylor, Richard Burton, The Beatles, Shirley Temple, Mickey Rooney, Paul Newman, Michael Douglas and Catherine Zeta Jonnes, Joan Rivers, Burt Reynolds, Julie Andrews, Whoopi Goldberg, Jean Claude Van Damme, Seinfeld, Wesley Snipes, Keifer Southerland, Martha Stewart, Celine Dion, Britney Spears, The Rolling Stones and Beyonce Knowles to name only a few. Second, King Edward is close to The Cathedral Church of St. James, which boasts a splendid architecture and greenery. If the weather is good, you might want to use the two locations for your wedding party images and couple pics. 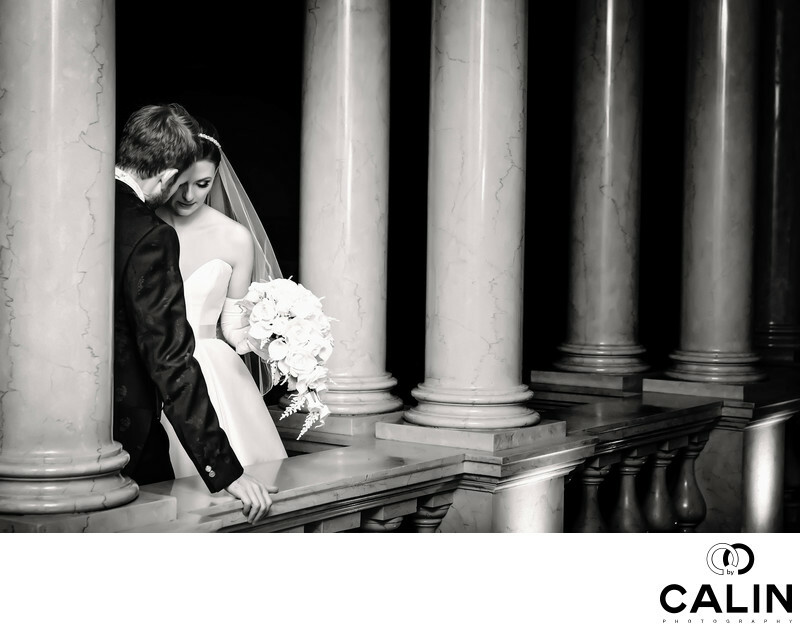 My favourite site at King Eddie, is the second floor, adorned with splendid columns and perfect for your your first look before the ceremony, romantic shots on your big day and also family pictures. For group images, the columns provide symmetry and elegance. Here is a tip: the hotel is very busy and to avoid wasting time dealing with guests that might be in your shots, you might want to consider having a morning shoot. I remember a February wedding at King Edward where the couple wanted to head to distillery district for outdoor pics, but the temperatures were so low that we ended up taking pictures indoors. King Edward Hotel requires a photo permit. Here is a full wedding at King Edward Hotel. 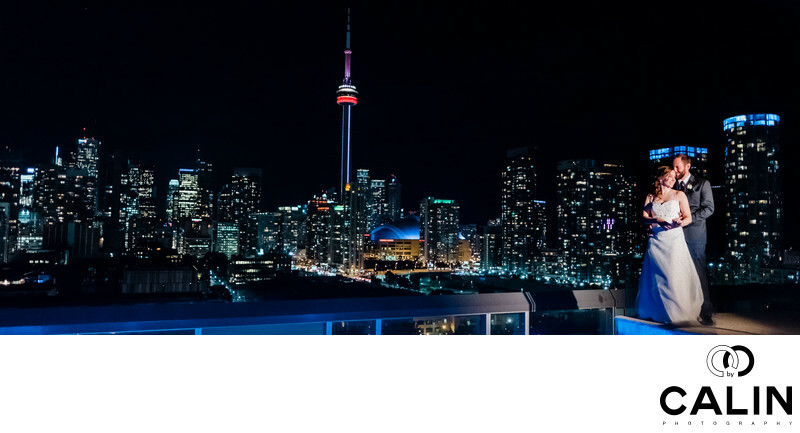 The rooftop of the splendid hotel in Toronto offers such breathtaking views of the city that one may overlook its indoors spaces, perfect for your pictures. Below is a photo captured on the Thompson Hotel rooftop. 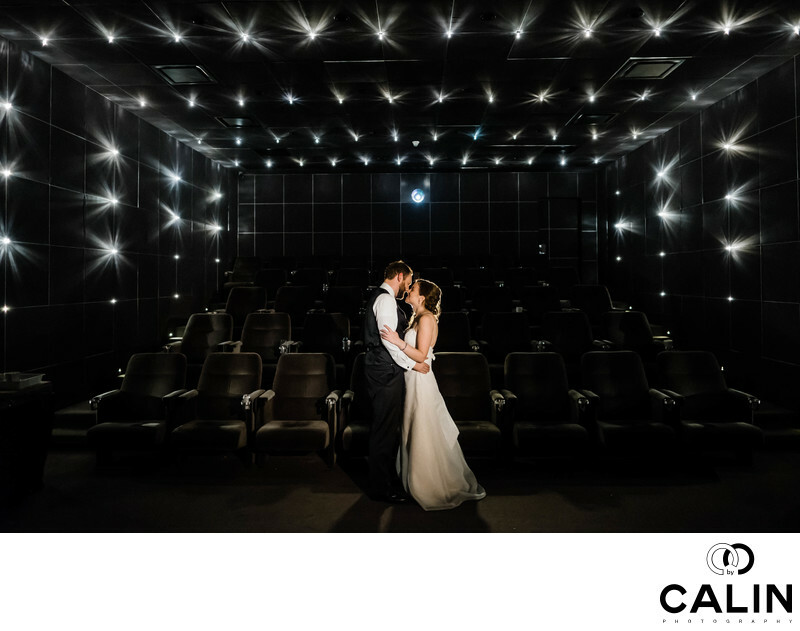 The screening room at is one of the best spots to take a few romantic images after your reception. Another favourite site for indoor pictures is the Thomson Hotel Lobby Bar (image below). The beautiful 110 ft mural created depicting the Toronto skyline is a perfect background for group shots. Here is a full wedding at Thomson Hotel. 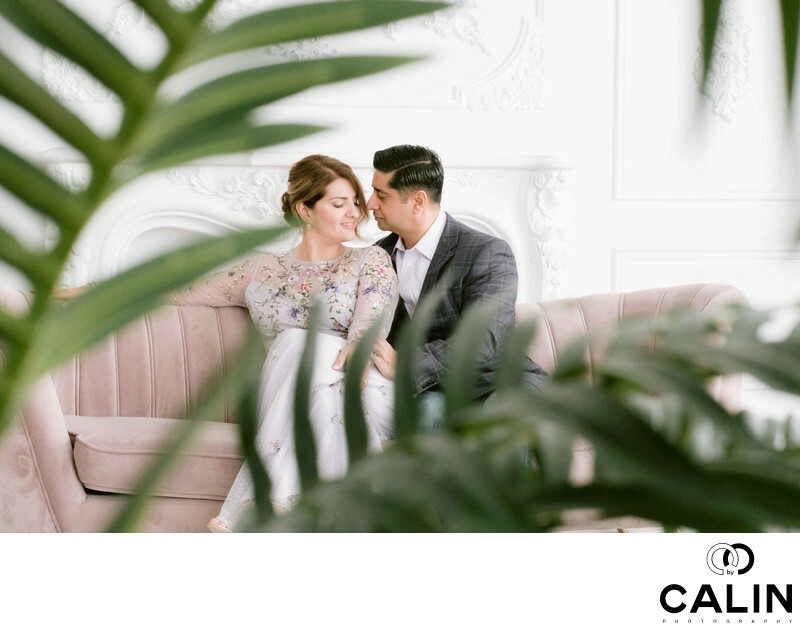 Known for its splendid architecture and gardens, Casa Loma does not need any introduction; the beautiful castle is perfect for outdoor and indoor sessions and engagement proposals. 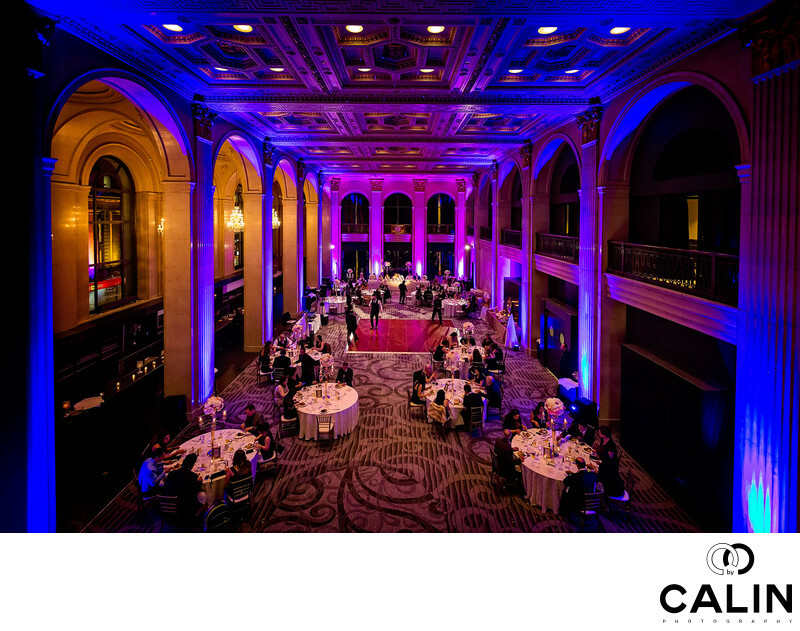 As a side note, Casa Loma is one of the most sought after venues in the GTA. 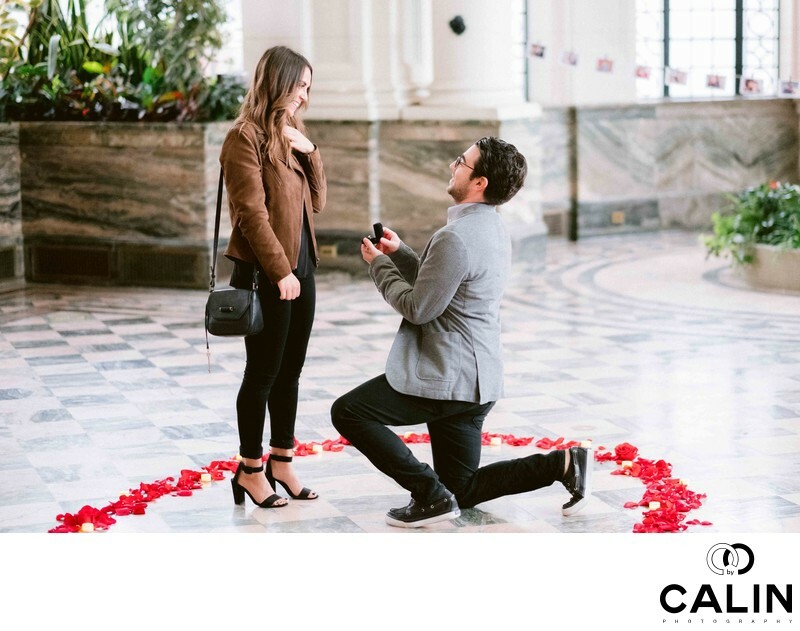 The image below showcases a live marriage proposal in the Conservatory. The massive windows, the floors covered in marble and luxuriant plants make this room one of my favourite spots in the GTA. 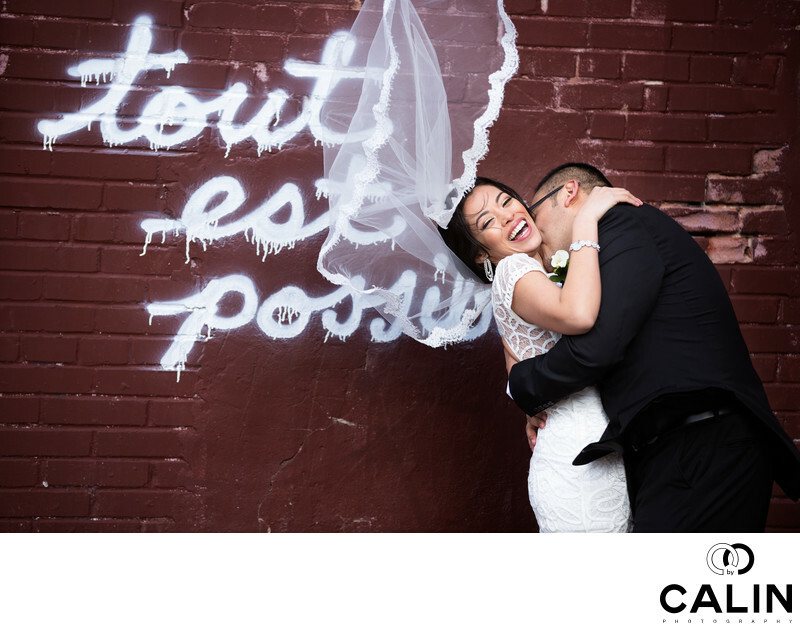 For the Toronto photographer with a few hundred weddings under his belt, this city never ceases to amaze me. Barberian's Steak House is one of the city's hidden treasures that make photography so fun. 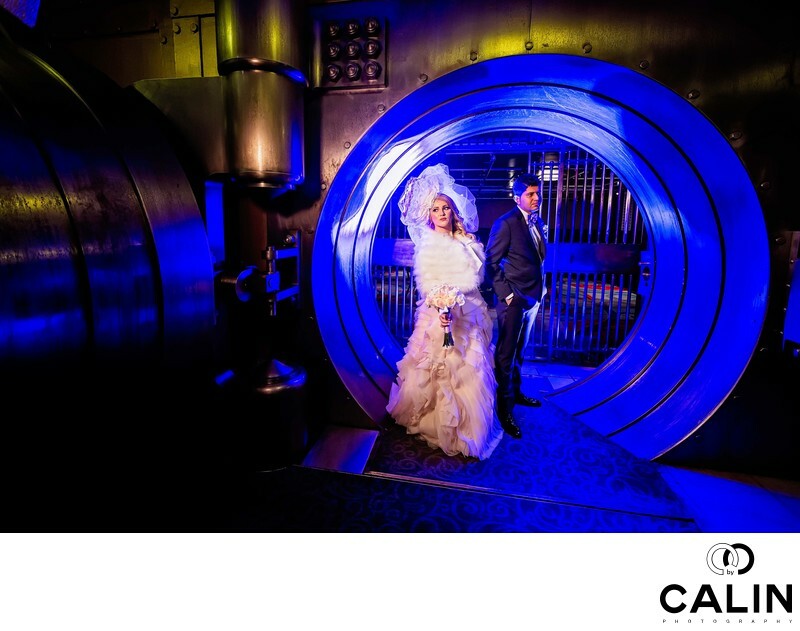 For the couples who love a more dramatic look, I recommend the cellar at Barberian's Steak House. If you love mob looking shots, the venue is ideal for that. Of course you will need to contact the space to book a time slot for your photo shoot. Evergreen is one of those perfect locations for photography. It features industrial buildings, a pond, trails and in the fall the foliage is absolutely splendid. 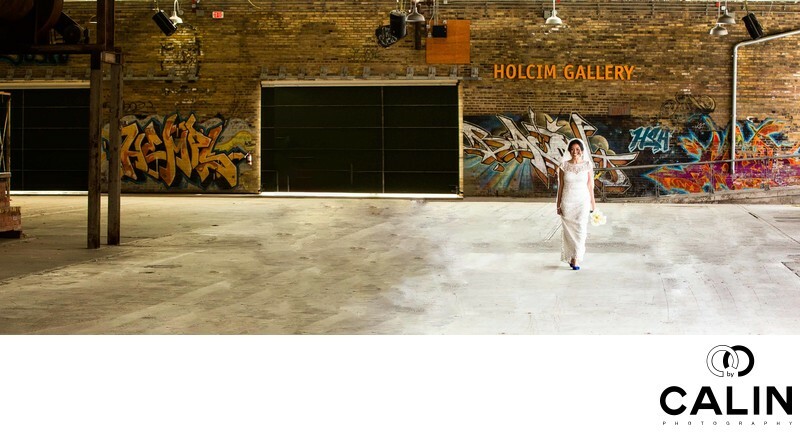 My favourite place is the Holcim Gallery where I love to do the couple's first look. Please note that even though this is a covered space, in the winter it is very cold. 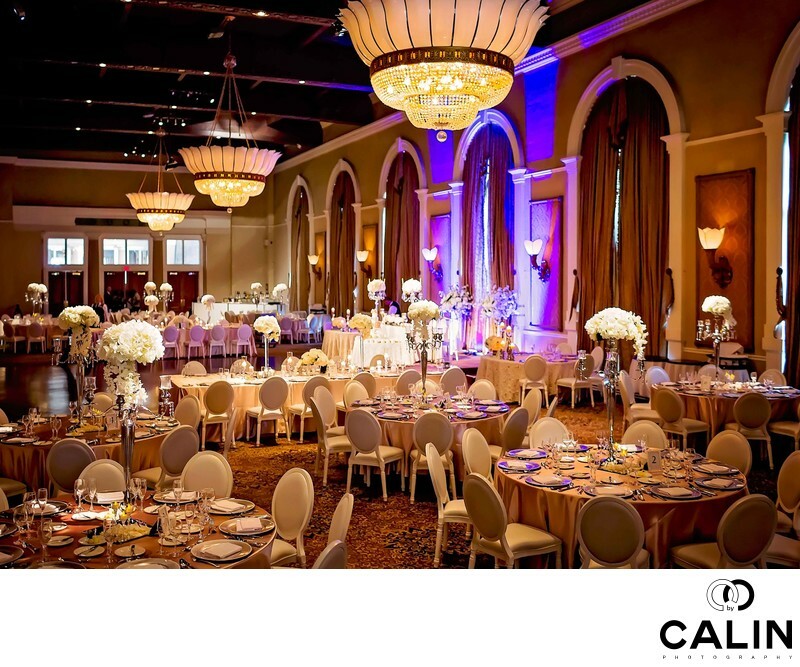 This splendid event space located on the banks of Lake Ontario is another sought after event space. 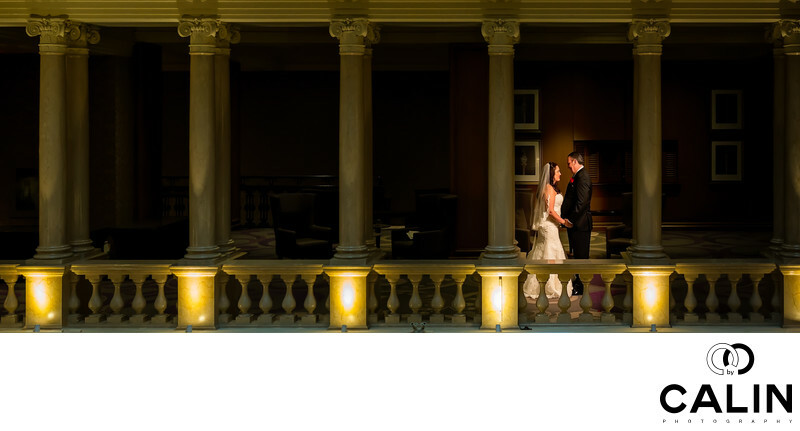 Besides the outdoor spaces, Liberty Grand offers amazing indoor backgrounds for your wedding photography. The foyers, the Dome as well as the four ballrooms (Governor's Room, the Artifacts Room and Renaissance and Centenial ballrooms) will not disappoint you. Located in Yorkville at the intersection of Avenue Rd and Davenport, Joso's restaurant features hundreds of artwork pieces. Drake used this restaurant as a backdrop for the cover photo of his 2011 Album Take Care. I have a feeling that if this restaurant was good for Drizzy, you might like it too. Mint room studios is located in the Junction and offers the professional photographer a few options, from the bright and airy "Ballroom" and "White Loft" to the more moody and dramatic "Library" and "Lounge" rooms. Among all the indoor locations in Toronto, I find this to be the least expensive. As such, if you are having a winter photography session, do not hesitate and book Mint Room Studios. 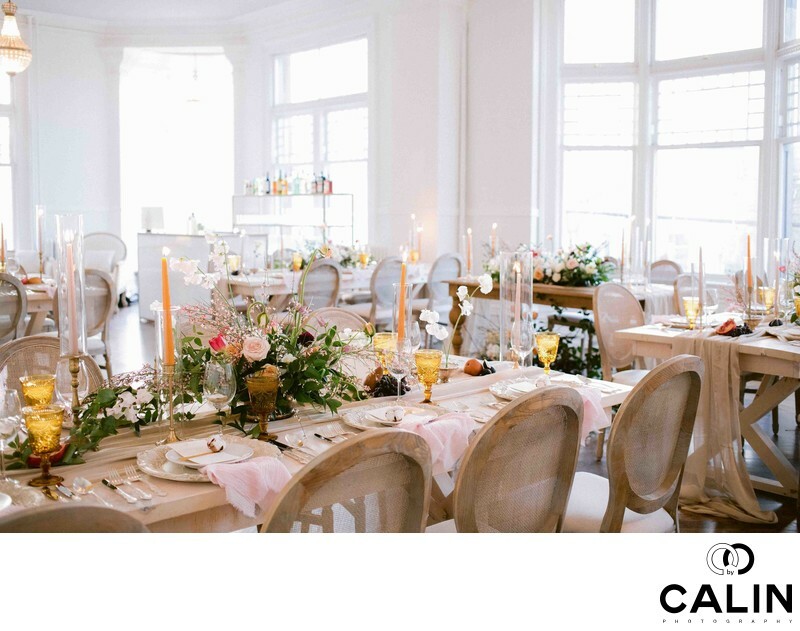 The Conversation Room at The Great Hall resembles the Ballroom at Mint Room Studios and features huge windows and white wall, which makes it perfect for bright and airy images. 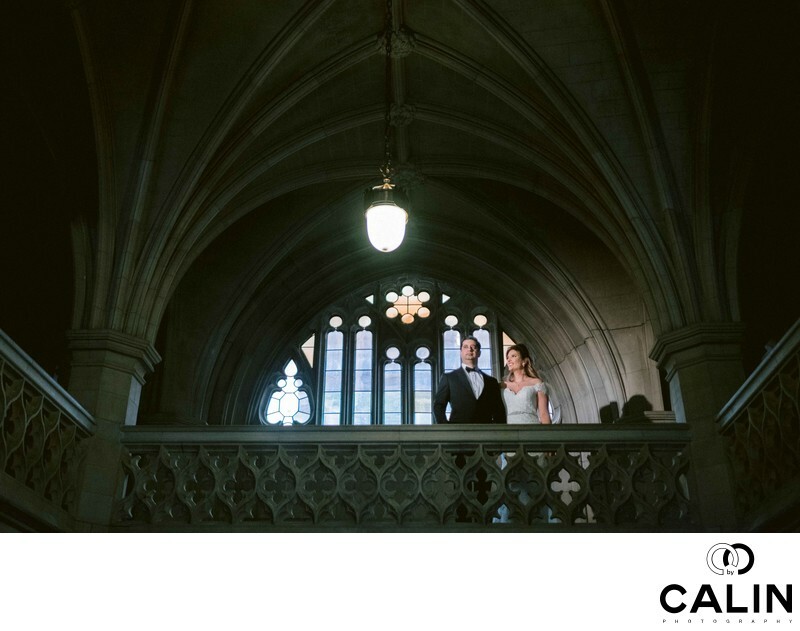 If you love classic and dramatic imagery, the Main Hall the perfect place for your indoor pictures. For a more industrial look, head towards the Longboat Hall and I am sure you will absolutely love it. The 170 years old Storys Building is one of the trendiest venues in Toronto and it is the place where TIFF crowds meet for the premiere parties. 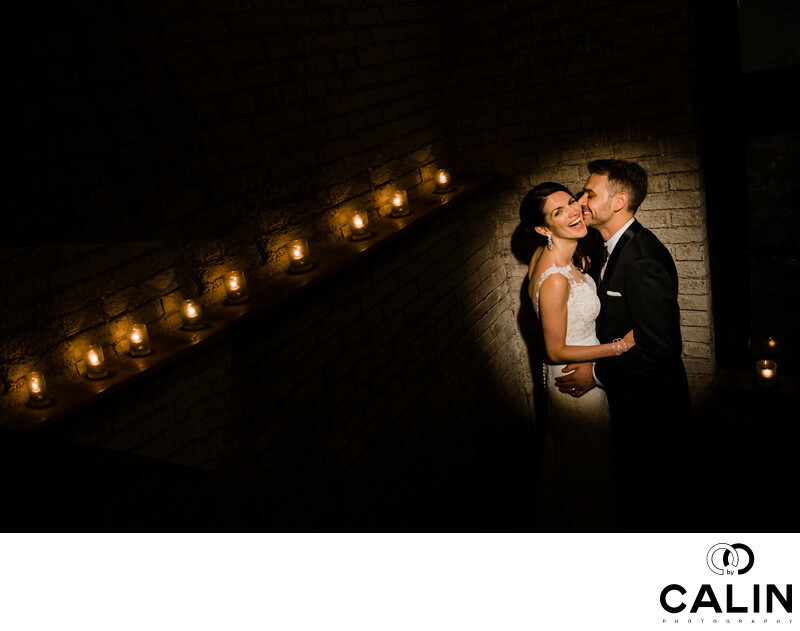 The three floors offer the couple plenty of locations for perfect photographs and the exposed brick walls give images character and old charm. I especially love night shots in the Storys Building like the ones you can see below. The image below was captured on the second floor after the guests headed to the third floor to enjoy the party. The multitude of lights and the genuine emotions made this image special. Here is the full gallery of the big day. AGO is located in the heart of the city and offers some of the most stunning textures for your images. 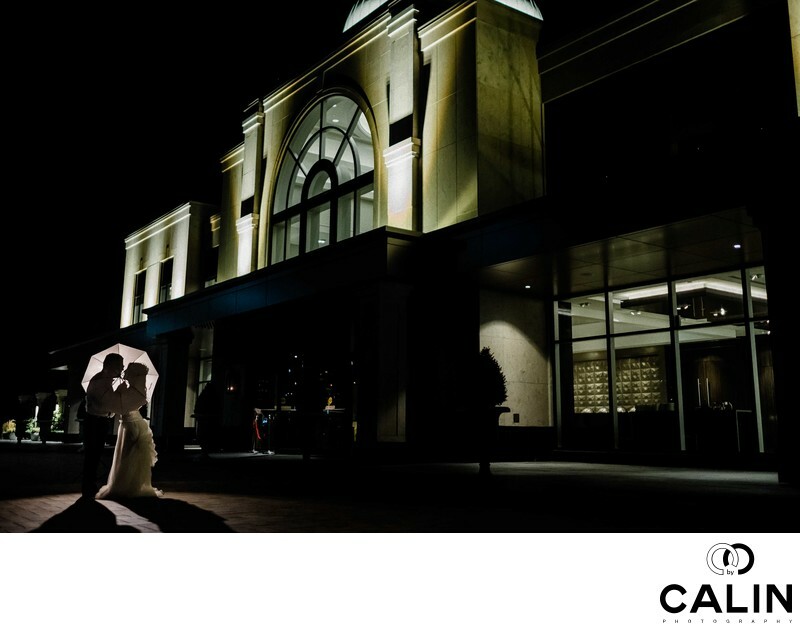 Located in Vaughan, Chateau le Parc amazes the viewer through a harmonious balance between a traditional architecture and state of the art lighting and audio video equipment. Having documented quite a few marriages at Chateau le Parc, I can attest to its beauty.